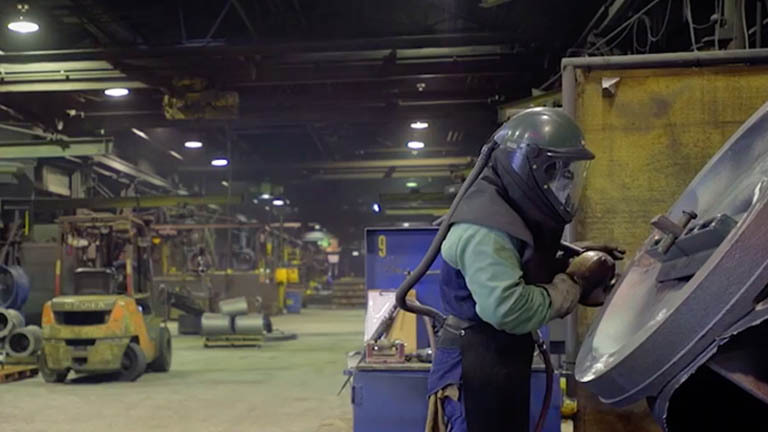 Established in 1866, Oil City Iron Works has a long, rich history in the state of Texas. Originally a producer of cotton gin parts, then World War II defense equipment, the company adopted its present name in 1921 and began focusing on castings for oil field equipment, becoming a pioneer in the use of ductile iron. In 1981, as the oil bust forced many manufacturers to close shop, Oil City Iron Works downsized from 450 employees to 31 in less than a month. It was at this time that Eric Meyers Sr. took control of the company. Knowing that survival would be tied to diversification, Eric made the difficult decision to reorient the company and expand its focus to products and clients in the agricultural, transportation, and water works sectors, in addition to oil. In 1987, the company began to turn a profit and has never looked back. Today, Oil City Iron Works has 225 employees and ranks among the fifteen largest employers in Navarro County. However, in 2005 and again in 2011, the company experienced its most significant growth, increasing revenue 50% in a single year. Current CEO Eric Ryan Meyers, son of Eric Meyers Sr., largely attributes the company’s growth to a willingness to both innovate and diversify its product line and an honest and transparent approach with customers. Oil City Iron Works clients were outsourcing their add-on products and services with other vendors after they purchased castings from the company. This left revenue on the table and made the process lengthy and costly for clients. The company invested heavily in add-on services and products, making the production process seamless for their customers and increasing revenue on existing parts by up to 400% overall. CEO Eric Meyers Sr. said, “We needed to look outside the box. We knew that we could sell oil castings all day. 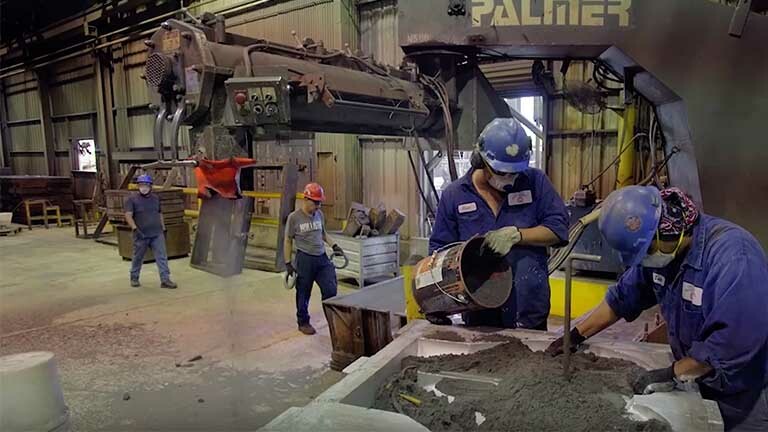 The question that we needed to answer was what were our customers doing after they got our castings?” It was the answer to that question that Eric sees as being the biggest contributor to Oil City Iron Works’ growth since 1985. It’s a win-win and has been Oil City Iron Works’ formula for expedited growth since the Meyers family took over. Throughout the years, legislative changes and other external factors have forced Oil City Iron Works to increase prices. These price increases historically have led to lost clients. CEO Eric Ryan Meyers and his team have committed to a transparent cost structure, educating clients on what causes price increases. This transparency has helped the company keep clients during price spikes. When market conditions force a company to increase its cost of production, all businesses face the difficult decision of whether to share that financial burden with their customers or absorb it alone. Increasing prices and risk driving away clients, or maintain prices and erode margins is a tough choice that almost every business owner faces at some point. However, Eric Ryan Meyers and his team have developed an innovative approach for how to deal with price increases: They’re honest about it. Oil City Iron Works not only educates its clients on production factors but also shares news on potentially adverse legislation. Eric and his team want their clients to not only understand how future policy may impact prices but also have time to plan for it.